Most entrepreneurs cringe at the prospect of contending with unhappy clients, but Bill Gates considers them an asset. According to Bill Gates, “Your most unhappy customers are your greatest source of learning.” If you want your startup to thrive, pay attention to what your disgruntled customers are saying. They are your best hope in learning truthfully about the flaws in your products and services, so you can easily rectify them in future. The greatest innovator and genius of our generation has a very sound advice for young entrepreneurs. Steve Jobs always gave attention to detail and always puts quality over quantity. He wants young entrepreneurs to follow his example to achieve success. His words sum it up brilliantly when he said, “Quality is much better than quantity. 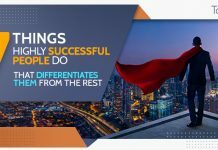 One home run is much better than two doubles.” Apart from that, you can also learn many entrepreneurial lessons from Steve Jobs that can help you in taking your startup to the next level. In one of his letters to Facebook stakeholders, he wrote, “Moving fast enables us to build more things and learn faster. We have a saying: “Move fast and break things.” The idea is that if you never break anything, you’re probably not moving fast enough.” Even when Facebook redesigned their News Feed and received negative feedback and requests for bringing it back from users, Facebook chose the middle ground and offered users an option to retract back to their old newsfeed while keeping the new one as well. They used a similar strategy when the Timeline feature was rolled out. Though Jeff Bezos is noted as Amazon’s CEO, he also has many other businesses under his belt, ranging from aerospace to newspaper. Jeff Bezos superseded Bill Gates to become the richest man in the world. The secret behind his success is his ability to keep his customers above everything else. His words also reflect his approach, “The most important single thing is to focus obsessively on the customers. Our goal is to be the world’s most customer-centric company.” If young entrepreneurs focus on his advice, success will knock at their doors as well. Founder of the Virgin Group, Richard Branson has more than 400 companies under his wings. 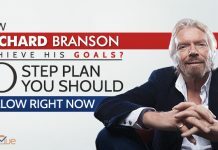 He has one of the most diverse business portfolios in the world with businesses ranging from airlines to record stores to some ambitious business ventures such as Space Travel. According to him, “Business opportunities are like buses; there is always another one coming.” He wants young entrepreneurs to keep their business portfolios as diverse as possible and always look out for the big business opportunities. Tony Robbins is famous for his bestselling books but he is also an entrepreneur, philanthropist, and one of the best business and life strategists out there. If that is not good enough for you, he is also an expert in organizational turnaround, psychology of leadership, and the art of negotiations. According to him, “Business success is 80% psychology and 20% mechanics.” His advice is that young entrepreneurs need to be clear about their strengths and weaknesses, goals and strategies, to achieve their objectives. This is where a task management software can come in handy. Even the most successful entrepreneurs made mistakes at one point or another but learned from these mistakes to avoid them in future. Henry Ford is one of them. He made the mistake of not listening to his trusted advisor or even his son, who warned him that other cars are gaining popularity. Not paying attention to feedback from others hit the standing of Ford Company. 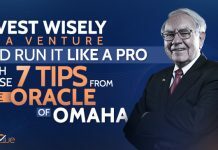 His famous quote “Don’t find a fault; find a remedy” proved to be the formula for success. He suggests entrepreneurs to follow this golden rule and find solutions and alternatives rather than complaining about the problems. Jack Ma, the founder of Alibaba Group, has a suite of companies specializing in E-commerce, online money transfers, and online shopping domains. His initial life was replete with academic and career failures. He performed poorly in mathematics at school and was rejected by Harvard 10 times. 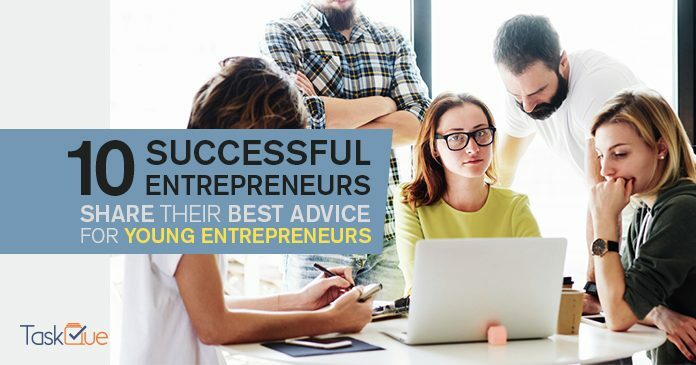 For young businesspersons who have just stepped into the world of entrepreneurship, learning from successful tycoons can avert them from stumbling into pitfalls and making costly mistakes that would have a negative repercussion on their startup. Do what you love and make your product so good that the people who were initially against it, become your biggest followers. Listen to your unhappy customers and provide a solution to their problems. Focus on quality instead of quantity, and have a never say die attitude to succeed.